Wasps thrashed Gloucester 34-3 today. It was a great display (though the ref had a shocker). 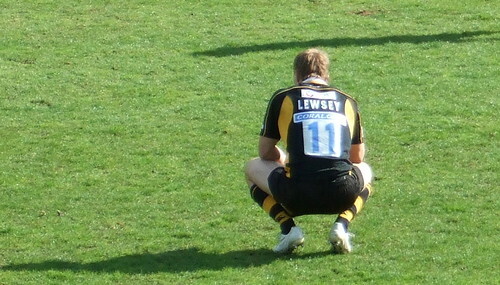 The game was Josh Lewsey's last for Wasps, and it was a fitting end for him. With a bonus point win, wasps moved up to 7th place in the premiership, on paper, Wasps may just get a Heineken Cup place if the results in the European Challenge cup go our way (we need Bourgoin to win the ERC, I'm not entirely sure of all the ins and outs of the rules regarding this, though). Gloucester finish 6th, having lead the table for quite a while, they've choked at the end of the season and have missed out.